Thinking about what happens after death matters. It gives us perspective. It keeps us from living too much for things of this world – which are so fleeting, and helps us live for what will endure. It encourages godliness. Seeing the wonder of what we will be, we want to live that way now. It encourages sacrifice. Seeing the wonder of what we will have, we are ready to give up what we have now. It encourages perseverance. Seeing, the wonder of what we will one day experience, we are ready to keep going until then. And it encourages urgency. Seeing, the wonder we could enter at any moment, we seek to ensure that we and others are ready – knowing that every breath we breathe could be our last. So…what can you expect if your next breath IS your last? The answer, if you are Christians is simple: You can expect to go to heaven. Most likely, Luke 16 records a story Jesus has crafted to make a point. So we can’t take every detail as fact. For example – there’s no sense anywhere else that those in heaven can see and talk to those who aren’t there. But we can learn from the details here that are reaffirmed in other passages. And what we see is that on death, every individual will head to one of two destinations: Heaven – or Hades, as the underworld was called in Greek. Now what we see here, is something theologians term the “intermediate state.” Heaven and Hades are not final destinations – but a foretaste of what will be experienced after Jesus returns and judges everyone. So we can think of heaven like a glorious cruise liner docked off the shore of this world, and gathering passengers to one day disembark when it is renewed. And Hades? Well it is like an offshore prison ship – gathering prisoners tragically destined for hell. Now we are going to spend our time thinking about heaven. But before we do, we have to pause and take the alternative in. Verse 26: There is no chance of change after death. We will be on one boat or the other. And what we see is Jesus warning that those who do not look to him will experience two things he underlines elsewhere: a terrible unending torment under the burning anger of God and the despair of being locked out of his kingdom. It’s truly sobering isn’t it? But as Hebrews 5v9 puts it: “We are convinced of better things in your case – the things that have to do with salvation.” So – let’s think about heaven. Now, do you know what it is to enhance a photo when you edit it? It puts a sort of filter on that makes its colours more brilliant and its outlines more sharp. In trying to describe heaven, I am very aware that I cannot do any justice to it with words. So can I ask you to hear everything through a picture enhancer? Whatever I say, try and contemplate what that might be like unimaginably more colourful and sharp. Then recognize that even that is to only see dully and darkley the wonders of what is in store for us. (1) What exactly is heaven? Cosmology is throwing up a lot about our universe we don’t really understand: Worm holes. Folding space. Unseen dark matter. It helps us see there’s much about our universe we are yet to understand. So believing in heaven is not somehow irrational. And we see in scripture that it is not another universe, but part of this one. The one creation comprises heaven and earth (Ps 115v15-16). And it is parallel not far away. So just before he died in Acts 7v55, Stephen “gazed into heaven” and saw Jesus standing there. What that means is that heaven is spatial too. It’s not just something in the mind of God. Jesus ascended in his resurrection body. So heaven is a place where touchable tangible things can exist. (2) When do we go to heaven? Luke 16v22: We go the moment we die. You may know that Roman Catholics believe in purgatory - that beyond death those who are saved still have to suffer for a time in punishment for lesser sins, and to sort of purge away any defilement that remains. Can I respectfully say this has no place in the teaching of the Bible or of Jesus. If we lose loved ones in the faith, we can be sure their next conscious moment is in heaven – or at least on the way there. (3) How do we get to heaven? Verse 22 suggests angels may help. Perhaps the first thing we will experience, is the presence of a mighty and glorious being with us, keeping us safe. I have to say I don’t think anyone’s got closer to helping grasp something of heaven than CS Lewis in his Narnia books. Do you know the story? Some children stumble across a parallel, spatial dimension to this world – another world of magical creatures where time moves differently than in our own. And how do they get there? Through a wardrobe – a wardrobe made from a tree grown from a Narnian seed, with fruit that can heal. Well so it is that we enter only through a tree – through the tree Jesus was nailed to, the cross. It is the only door to the heavenly ship and the new world it sails too. And that’s why there is no purgatory. In his death Jesus has already paid for every one of our sins – so there is no punishment left for us to endure. Like passing through a decontamination shower, passing through him makes us entirely clean so that we can enter God’s presence. The book of Revelation therefore pictures us there in white robes that we have washed and made white in the blood of the Lamb (Rev 7v8). Ok. Now to the big question. (4) What will we do in heaven? There’s so much to consider here. Heaven and hades are each a sort of lesser, perhaps more contained version of what will be after Jesus returns. And in terms of heaven, three descriptions consistently pop up in the New Testament. 1) Heaven is a garden. What did Jesus say to the thief on the cross (Lk 23v43)? “Today you will be with me in…?” Paradise. In Revelation 2v7 he promises that he will grant those who persevere to the end “to eat of the tree of life, which is in the paradise of God.” And Paul relates a vision in which he was caught up to the third heaven, which he described as “paradise” too (2 Cor 12v3). For Jews, the first heaven was the sky, the second was the cosmos beyond it, and the third was heaven as we think of it. Now “Paradise” was a word to describe a walled garden. In fact the Greek OT used in the apostles’ day literally renders Genesis 2v8 “And God planted a paradise in Eden.” This helps us understand how the word would have been heard and understood. Of course it’s possible Jesus simply meant it as a metaphor for a joyful place. But why didn’t he just say “today you will be with me in all joy”? No, the consistency of this description suggests we should understand heaven to be a real Eden-like experience. As we’ve see, Jesus’ body means heaven must contain at least some real physical things. Life in heaven and the new creation are the greater realities to which the things of this world point. They will feel more real to us not less. Whatever the case, like Eden the word “paradise” implies three things: First, safety in being finally free from all suffering and pain – just as Eden meant freedom from these things outside the garden. Second, life. No more death – but everlasting life enjoying the good things God provides just as Adam and Eve could enjoy the entire garden. Third, rest. Think of how you feel in the most beautiful garden on a warm day. It is to enjoy the rest Adam and Eve were to enjoy with God. But now rest from the struggle with sin, from the strain and stress of life here, from the hostility of the world towards Christians. 2) Heaven is a city. Again, why say God designs and builds this city? Why say he has “prepared it” just as Jesus said he would go and prepare a room for us in his Father’s house (John 14v2). The language implies our souls don’t just arrive in a reality that is as it has always been. It implies God has done something there to make it a fit living space – contrasting those we design, build and prepare on earth. Certainly, in context this includes Christ ascending to heaven so that it won’t be contaminated when we arrive (Heb 9v23-24, 10v19-22). But that doesn’t fully do justice to the language of city construction. Why couldn’t God or his angels prepare a literal city? After all, Jesus was a builder! (1) The idea of a city speaks of community. It’s to be with all God’s people – and his angels. And cities are places of vibrant life. Verse 22 implies music and singing. But there’s no reason to think heaven might not include all sorts of activity we get up to when together now. (2) This assumes continuity. Life in heaven is a continuance of our lives on earth. Its clear we will recognize each other. Luke 16v22 presents the poor man with Abraham. Jesus promised he would meet up with his disciples (Matt 26v29). Paul teaches that we will see our loved ones who have gone before us (1 Thess 4v14-18). Now this is something we don’t think about enough. Hebrews 12v23 tells us there we will be spirits. It seems we won’t have bodies in the physical sense. We will not receive our resurrection bodies until Jesus returns. But…that doesn’t mean we will be invisible in heaven. Remember Moses and Elijah meeting Jesus on the Mount of Transfiguration (Lk 9v29-31). Hundreds of years after they died and coming from heaven, they had bodily shape. They were visible – recognizable – able to converse together, and shining with the brilliance of heaven, suggesting we might too. So we will interact meaningfully and properly in heaven. I don’t know whether children will take their adult form or somehow grow up there. But if you’ve lost children, you will be able to meet them there. Now we need to pause to consider what this all presumes. It presumes our memories must continue into heaven too. Revelation 6 verse 10 pictures souls in heaven praying for justice towards those who killed them, and 19v1-2 shows all believers praising God for avenging them. Clearly we must therefore remember what has been done on earth. In fact, memory will only add to the joy when we all meet up. God’s great purpose in salvation is that he is praised for his glorious grace (Eph 1v6-14). It is only by remembering that we will celebrate the grace God gave us in life, appreciate how undeserved it was, and forever contrast how much better things are in heaven. Of course a key question follows: Does this mean that we’ll experience sadness and grief over the bad of this life? Well, it is when Jesus returns and removes all evil that we’re told every tear will be wiped away (Rev 21v4). Until then, there may be some sense of godly grief we share with Christ over the continuance of evil on earth. But in terms of our own sin – isn’t it true that from a distance we can already remember things that are sad from our pasts without being sad? No, in heaven we will be so caught up with the wonder of it all that these things will fade. More than that, remembering what was, will only enhance our joy in what we will be experiencing. But there’s more. What follows is this: If we keep our memories, then we will carry over our knowledge and skills and interests as well. After all, they are kept in our memories. The point is this: God doesn’t give us a brain wipe and start again. It will still be us – with the personalities God has given us. So don’t be surprised if the gifts God has given you now continue to be gifts that you can use in heaven. There’s no suggestion we will all be the same. And the wonderful thing in that is that we will finally be able to properly please Jesus. There will be no frustration at having failed again. Just delight in giving him delight in all we do. And that brings us to our final word or image. 3) Heaven is a temple. We see that in the worship of Hebrews 12v22-24. But Hebrews 9v5 gives us more. It tells us the instructions God gave for Israel’s earthly tabernacle were to make it a scale model of heaven as God’s temple. It was God’s way of helping people understand what heaven was like. And it is striking to see these things portrayed in John’s vision (Rev 4-5). So the ark with the mercy seat ontop of it pictured God’s throne in heaven. The two winged cherubim that flanked it, seem to have pictured the creatures around God’s throne. The cherubim woven into the tabernacle curtains pictured the presence of angels more generally. And the different qualities to the layers of material showed the need for greater holiness the closer one gets to the presence of God. As for people in heaven: The lampstand pictured God’s presence lighting up his people; its almond blossom design, the paradise they will enjoy; the altar of incense, their prayers coming to his throne; and the great bowl of water or “sea,” the need for cleansing in approaching him. But there is one key element lacking in heaven that was part of the tabernacle design: the veil that separated the place of God’s presence from the priesthood. In Israel, if you wanted to go to where God was, you went to the temple. But the veil was the reason you could never actually see him. Yet that has now changed. Christ has achieved access for us. We’ve seen that’s a picture of heaven. But that’s often all people imagine it to be - a wonderful place where we’re with our loved ones. But that’s not the primary thing. No, the primary thing is not heaven’s paradise-garden or city. It is to see God! We are not looking forward to being in heaven so much as being “with the Lord” – as he will be the source and focus for all the happiness we experience. The Puritans called this the beautific vision. To see the beauty of God: Father, Son and Spirit. Now we will see it with our eyes. We will see the risen Jesus walking around. There’ll be enough time for everyone to be with him at some point. Perhaps we’ll see the Father and the Spirit in some sense too. They don’t have bodies – but we might see them as the source of light or in a visionary way. Everything about heaven will bring home to us who God is, as Father, Son and Spirit. With every moment that passes we will know them better. We will grasp their wisdom in the things that are there. We will see their power in what they’ve done and will do. We will see the immensity of their grace in the multitude around us – that they have redeemed. Seeing Jesus glory is more than seeing him on his throne. It is seeing just how much he has achieved through his death – the entire experience of heaven and all that lies beyond it. And so we will also see God with our hearts. Think about that time you’ve looked at a view, or enjoyed a meal with your family, and your heart has just turned in praise of God. Everything in heaven will cause us to rejoice in God. Every enjoyment in this garden-city will be one that reflects our hearts in praise and joy towards him. Do you see? (1) is worship. This won’t be boring for a moment. We will worship God continually as we go about whatever we go about. But Hebrews 12 implies times of focused worship too – where we lose ourselves in worshipping God for all he’s done, just as we are intended to when we gather at church now. (2) Heaven is about service too. Here Revelation 20v6 notes two roles. The first is that those in heaven with Christ are “priests.” Priests cared for the temple and made offerings. The NT speaks of Christians serving the church as priests and offering themselves sacrificially to that end. It could well be then, that God will gives us tasks for the benefit of life in heaven – that there we offer ourselves in caring for the environment we are in, or contributing to its community life. The second, role we will have is that of “kings” who reign with Christ. In the rest of Revelation this looks to our sharing in Christ’s judgment and reigning over the new earth (Rev 2v26-27, 5v10). And so it seems we will experience a foretaste of this in heaven – overseeing in some way whatever is there, and perhaps even sharing with Christ in the temporal judgments he decrees for the nations before he returns (20v4)! First, those we have ministered to will be with us forever. So the more we help people to faith and godliness now, the more joy we will experience in having them with us then. Paul makes exactly this point (1 Thess 2v19-20) and describes the everlasting fruits of gospel ministry bringing about a greater “reward” (1 Cor 3v14). Second, we’ve seen the knowledge of God and skills of life we have attained here will be taken with us. So, the harder we work at our own faith and vocation now, the more joy in starting with these things then. Some even suggest a deeper maturity of faith now will enable us to grasp more of God then and so give us more joy that way too. Whatever the case, carrying these things over makes all our efforts at developing our faith and abilities in this life truly worthwhile. Third, Christ’s pleasure at what we’ve done now will be a pleasure he will have forever. So the more we honour him in our churches, families and workplaces now – the more joy we will have in heaven, knowing the joy it has all given him. Paul speaks of how each with receive their praise from God at the judgment (1 Cor 4v5). And Jesus speaks of the reward it will be to hear his words “well done good and faithful servant (Matt 25v23).” Now although both Paul and Jesus are referring to the commendation received at Christ’s return, there must at least be some sense in which we will find joy in knowing his pleasure in heaven before that. Fourth, Jesus also hints that greater joy may be linked to greater responsibilities that he gives according to how we have served on earth (Matt 25v23, cf. Eph 6v8, Col 3v23-24). Again, this refers to life after his return but could still be known in some way in heaven. Having said all this, don’t for a moment think we will regret or resent others experiencing more joy. Made perfect and utterly selfless, our joy will increase at seeing the joy and honour they receive! So everyone’s joy will also be an immense joy. Every detail of heaven, everything we do, every thought, will thrill us with joy at all God has achieved. Jesus said there is much rejoicing in heaven over one sinner who repents. So how much more to see the great multitude there with us. Heavenly joy will also be an increasing joy. With every moment that passes there’ll be more we’ll grasp. And the joy we experience with each century will be only a bucket compared to the immeasurable oceans of joy still to be discovered. Finally, it will also be an anticipatory joy. You see, with all we’ve covered – there’s still more. In heaven we’ll still be awaiting the final removal of evil, justice for all the oppression and wrongdoing, and life in our world made new. One joy in heaven will therefore be our excitement at what will be when Jesus returns. But that is a subject for the coming weeks. 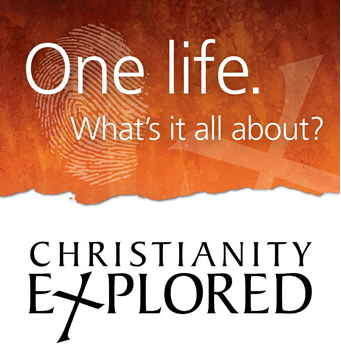 As we close, let’s answer our question: What can you expect if you die tomorrow and belong to Christ? We can’t be sure, your next conscious moment may be to see a shining angelic being with you and your spirit somehow being transported – perhaps going up, as Jesus did in his ascension. Any shock will be momentary as now perfect you will by fully attuned to God – feeling perfect peace and wholeness. No doubt, your next experience will therefore be thrill – wonder – joy – excitement at what you realise is happening. Whether there is an awareness of going to heaven like this or not, the next thing is that you are likely to find yourself in an amazing garden – more vibrant and real than the best of gardens you’ve been in. You will feel totally at one with it. And as you look around you may see buildings around you as well. perhaps angels, and certainly people – real everyday human beings from all the diversity of human life and appearance. But they will be shining with the glory of the place – and free from all signs of aging: No genetic deformity or disability, no injury, no-one overweight or grey. Just beautiful, truly beautiful – with the beauty that is already in you as God’s creation. Some may be there to welcome you – perhaps those you’ve known in this life. And you will talk with them as they explain how things are there – how to find where you’ll live and what you’ll be up to. But all you’ll want to know is about Jesus. If he doesn’t meet you in person you’ll be asking: Where is he? How do you get to see him? And with everything you see and experience your heart will turn to him in worship and thanks and praise. But all this. All this will be to the glory of God, Father, Son and Holy Spirit.